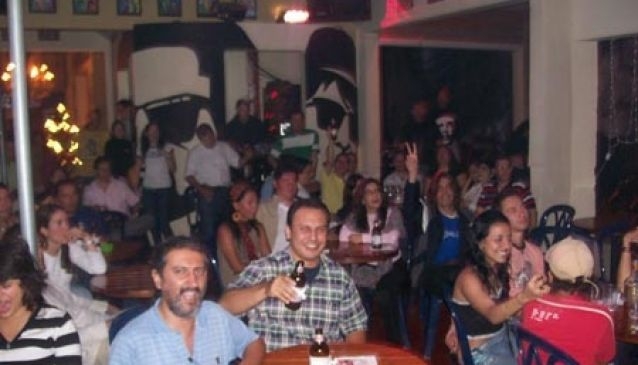 Loud and lively, the Blues Brothers bar in Cali, Colombia is 'the place where beautiful people come to get ugly'. It's also the place where people meet to listen to some rockin' and soulful tunes and where one drink is never enough. From live salsa to dance nights à la 'Coyote Ugly', be sure to check out the bar's website for more information on what's happening during your visit. Let's not forget the live bands and performers that will have you up dancing in no time. The bar's popularity has grown so much over the years that in 2006, it moved to a larger venue in order to accommodate the burgeoning interest. Now that's a sign that this is the place to be. If you like your bars larger than life with character, then Blues Brothers is for you. Mingle with locals and get your party hat on. What are you waiting for?